The Ecommerce Foundation has launched the Ecommerce Benchmark today. This online tool is a free service allowing companies to compare and improve their e-commerce activities. The launch is supported by Ecommerce Europe, the Brussels-based association representing 25.000+ B2C companies that sell products and services online to consumers. The mission of the non-profit Ecommerce Foundation is to realize e-commerce related research, reports and benchmarks on a collective basis. 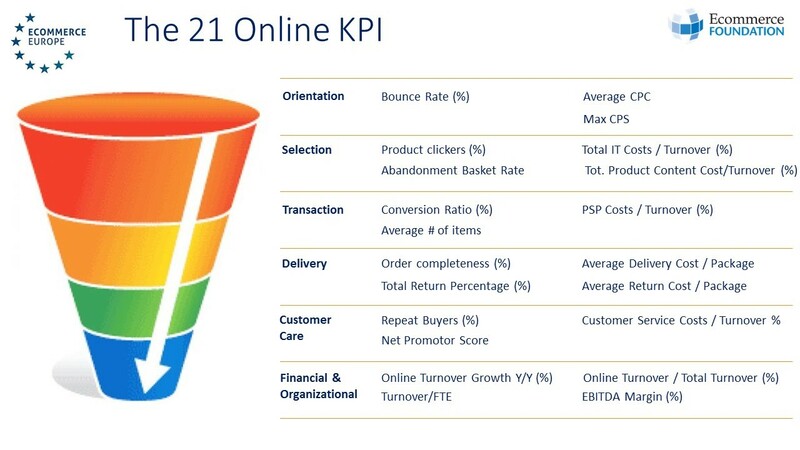 The Ecommerce Benchmark will measure 21 Ecommerce Performance Indicators, based on the Bonsing/Mann model. The entire customer journey will be benchmarked, including the internal & external organizational and financial performance. The Ecommerce Benchmark will be rolled out internationally. The first countries participating are Austria, Denmark, Germany, Greece, Italy, Poland and the Netherlands. Associations outside of Europe have also shown a lot of interest in the Ecommerce Benchmark.